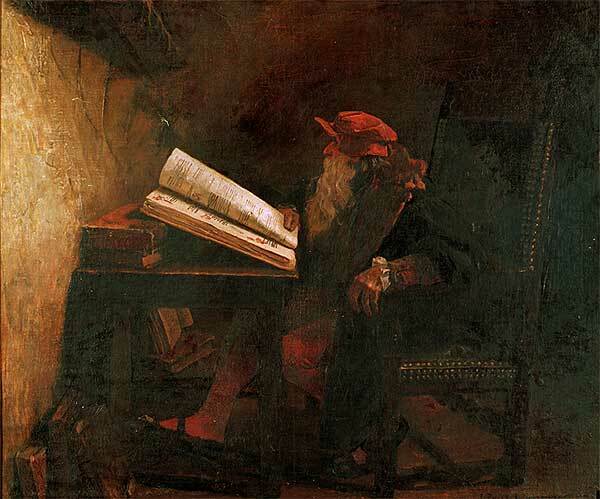 The table of contents forwarded by Stephen Robinson, MD, reflects the Faustian Bargain made by leading researchers with respect to cannabis. No longer able to deny beneficial effects, they pay exaggerated attention to the possible harms, notably Cannabis Use Disorder. The fact boldfaced by O’Shaughnessy’s in the paragraph above is truly significant. It was buried by the authors within a confusing sentence that makes misleading reference to synthetic cannabinoids. The truth is that NIDA- and PHARMA-funded lab researchers tried in vain for decades to get primates in their labs to jab at their THC dispensing-levers. NIDA darling Dr. Stephen Goldberg figured the problem was reliance on European Rhesus monkeys. 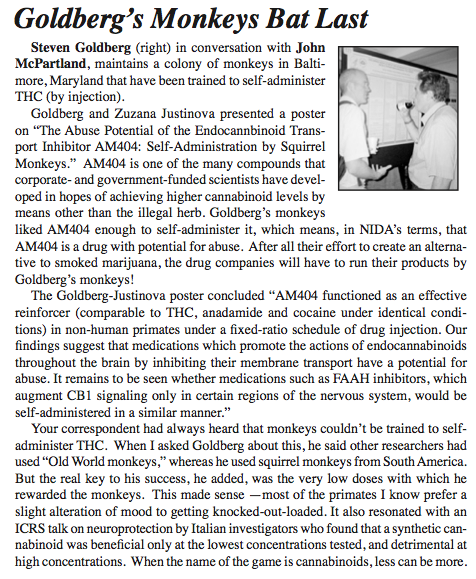 We reported on Goldberg’s claim to have induced craving for THC in South American squirrel monkeys. Matthew Hill is a respected scientist, active in the International Cannabinoid Research Society. This is the abstract of a paper on which he was lead author, “Integrating Endocannabinoid Signaling and Cannabinoids into the Biology and Treatment of Posttraumatic Stress Disorder.” Hill et al suggest that PTSD may be an endocannabinoid deficiency disorder. Exposure to stress is an undeniable, but in most cases surmountable, part of life. However, in certain individuals, exposure to severe or cumulative stressors can lead to an array of pathological conditions including posttraumatic stress disorder (PTSD), characterized by debilitating trauma-related intrusive thoughts, avoidance behaviors, hyperarousal, as well as depressed mood and anxiety. 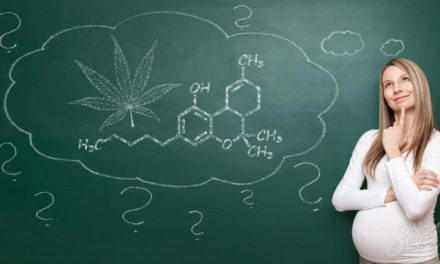 In the context of the rapidly changing political and legal landscape surrounding use of cannabis products in the USA, there has been a surge of public and research interest in the role of cannabinoids in the regulation of stress-related biological processes and in their potential therapeutic application for stress-related psychopathology. Here we review the current state of knowledge regarding the effects of cannabis and cannabinoids in PTSD and the preclinical and clinical literature on the effects of cannabinoids and endogenous cannabinoid signaling systems in the regulation of biological processes related to the pathogenesis of PTSD. Potential therapeutic implications of the reviewed literature are also discussed. Finally, we propose that a state of endocannabinoid deficiency could represent a stress susceptibility endophenotype predisposing to the development of trauma-related psychopathology and provide biologically plausible support for the self-medication hypotheses used to explain high rates of cannabis use in patients with trauma-related disorders. Why Might People Faint After Dabbing?